Here is how we spent our week with the Peugeot 308 Allure. 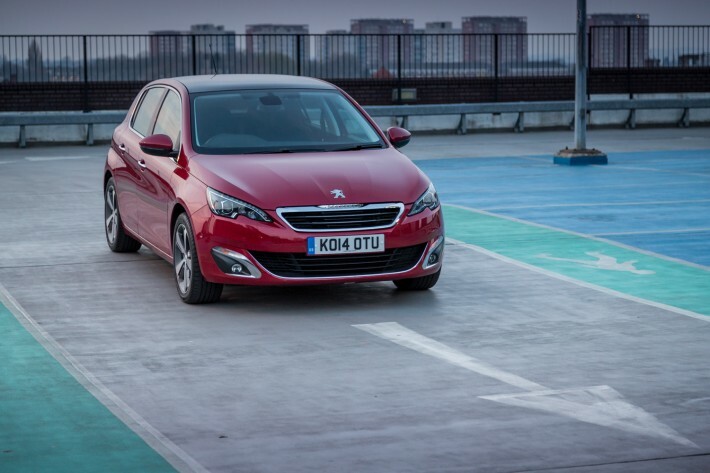 Waiting for the Peugeot 308 to arrive I was keen to see what the latest generation of the 308 looked like close up. Would it look a bit dull and bland like a lot of cars in the sector? Once the car arrived I was pleasantly surprised. 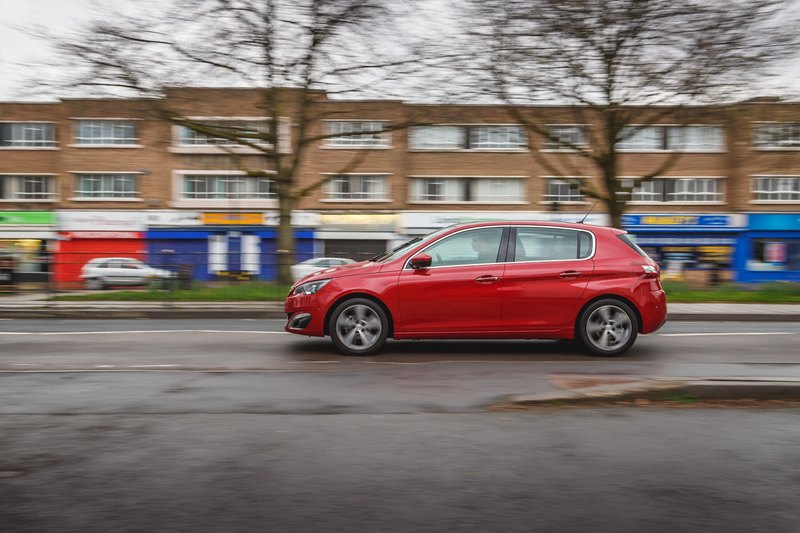 The 308 looked fantastic; from the front of the car you get a real premium look and feel, for sure. 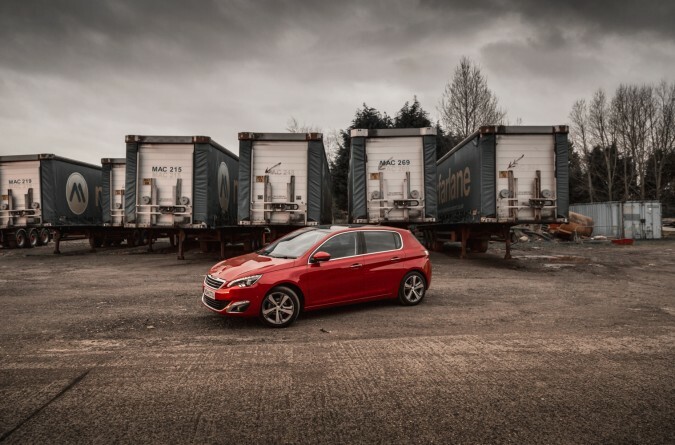 There were plenty of elements to like about the car, including the 17″ alloys wheels which give the car a nice bold look and really improve the side-on perspective. The model we had on test was the Allure that features 17″ Rubis alloy wheels, front fog lights, full LED headlights with fully integrated LED daytime running lights, reversing camera and front parking sensors. 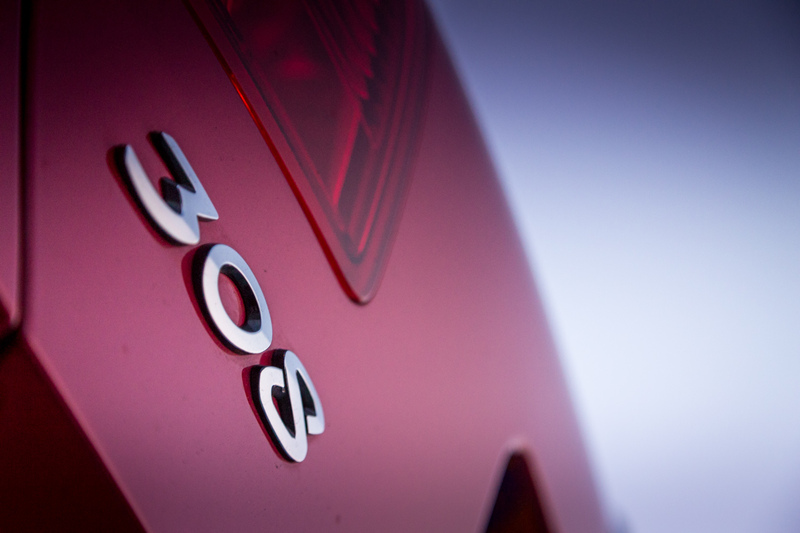 The car was powered by a 1.2-litre petrol engine that creates 110bhp and 205Nm of torque. That power then goes through a 6 speed manual gearbox to the front wheels, getting the car from 0-60mph in 11.8 seconds and going all the way up to a top speed of 117mph. Taking the 308 out for the first proper spin, I was really impressed with the engine’s power. The 1.2-litre engine, which I thought was going to be slightly underpowered for this large hatchback, provides a solid amount of power for a 1.2-litre. I couldn’t believe it initially. 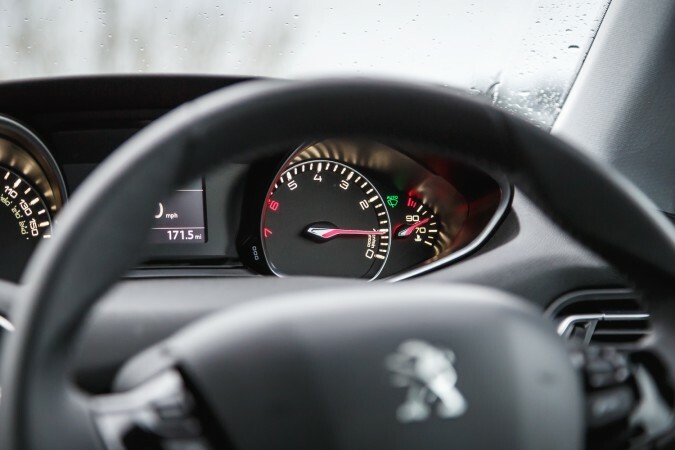 This is a great example of how Peugeot have used engineering and innovation to improve their cars. 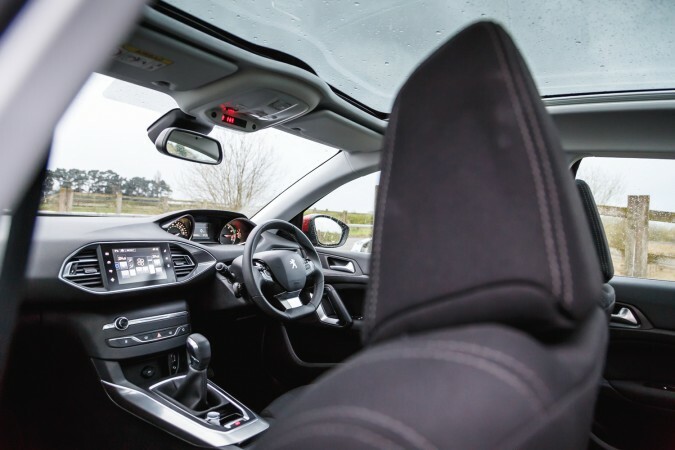 The suspension provides a very comfortable ride and the steering and braking give you constant feedback allowing you to control the car very easily. 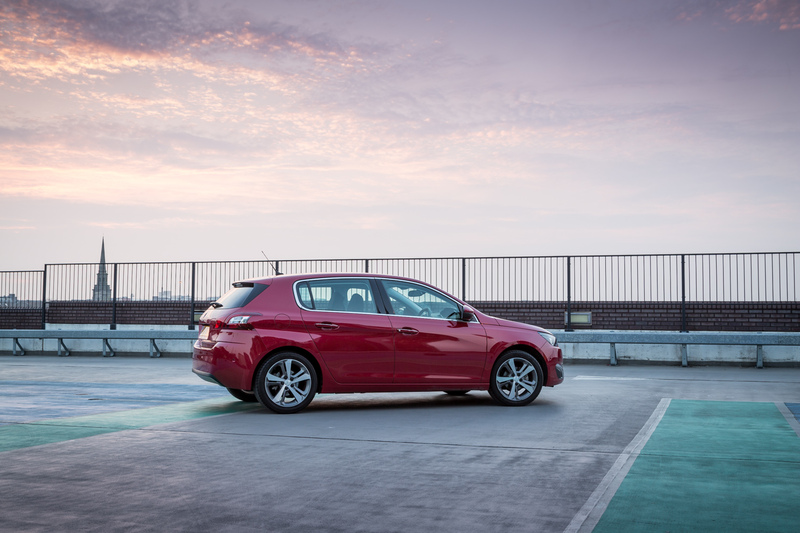 Taking the car out and about for various tasks, whether you are stuck in the town or driving up a B road, the 308 is easy and comfortable to drive. Using the 308 back and forth to the office everyday gave me a great opportunity to test some of the features of the car out. 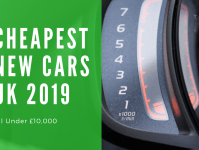 The stop-start technology in the car works really well, it’s not too aggressive but will still save you plenty of fuel. 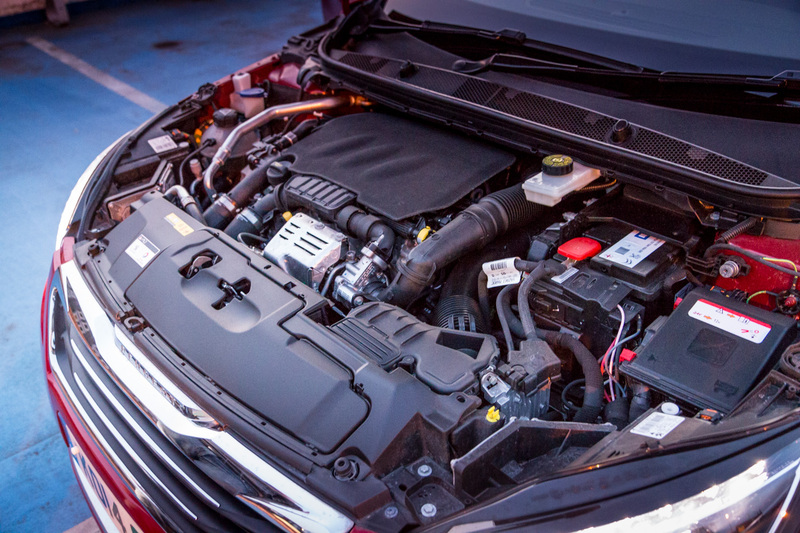 The engine starts are very timely and the functionality doesn’t affect the driving of the car in anyway. Stuck in the city centre traffic I was able to open up the panoramic roof and gaze up at all the tall buildings, this ceiling window doesn’t open but there is an electrically operated blind that covers it up when required. 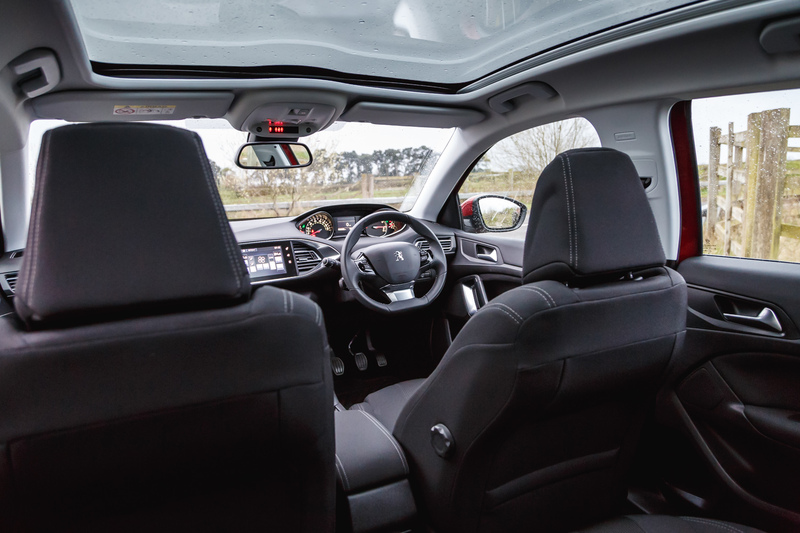 Opening the blind allows a lot of light into the car and plays a big part in making the car feel more spacious and roomy. The 308 interior looks very clean cut, Peugeot have done a lot of mopping up inside the car to improve the look and feel. They have removed all of the central console buttons and digitised them into a single user interface. The new interface does look pretty funky and works pretty well, however there were a few occasions when I felt that I wanted the interface to work a bit faster. 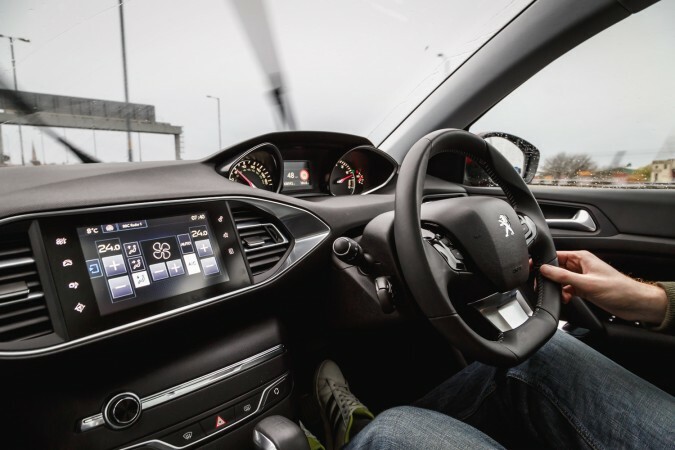 Using the car for everyday tasks teaches you very different things about the car compared to testing it out on a track, in a controlled environment. The 308 is a great everyday use car. Using the key-less entry I can walk up to the car and it will unlock itself, once inside you just press the start button, remove the electrical handbrake and you’re off, no stress, no faffing, it’s all just nice and easy. 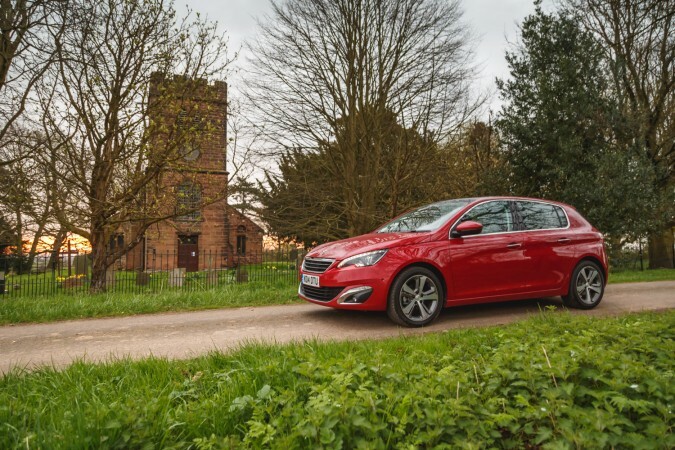 The car is ideal for those days when you are out and about dropping things off, picking things up and constantly in and out of the car. 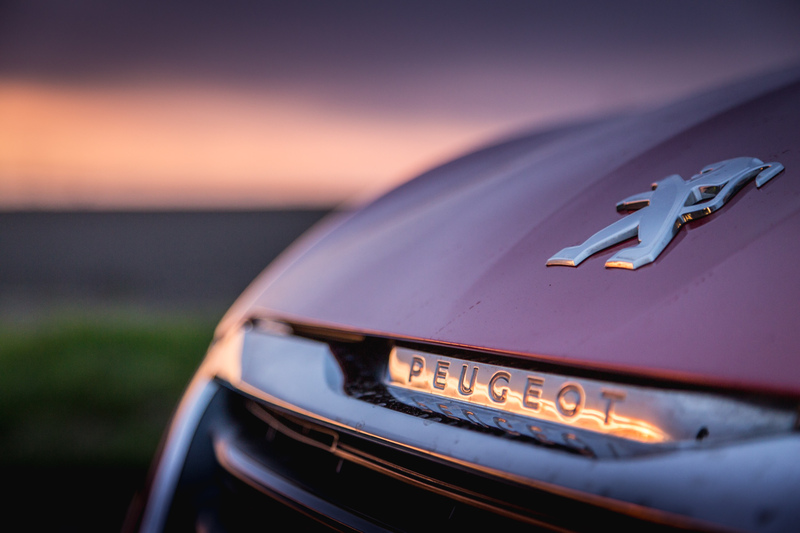 Wanting to create something special for the Peugeot 308, we took an early 5am start to setup and prayed that we got a nice sunrise to show off the car in some natural beauty. After waiting around in the dark the sun finally started to break and we got the sunrise that we were looking for. 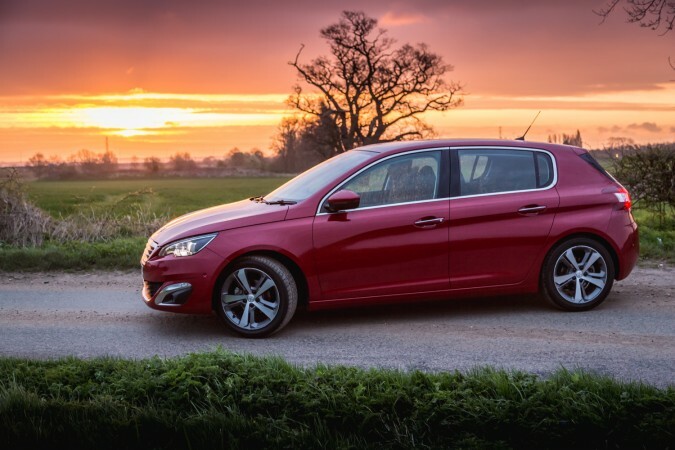 Here the Peugeot 308 Allure looks super desirable, and the lighting helps to create a soft looking picture of this award winning hatchback. Day 6 -Why the 308 Allure? After spending some time with the 308 Allure, I liked it, it does everything you need, it looks good and it has a good bit of tech too. I was starting to wonder how the 308 compares to other manufactures and what would make someone choose the 308 over the competition? It was the picture below that helped me position it, I think the car, from a design perspective, is very impressive. 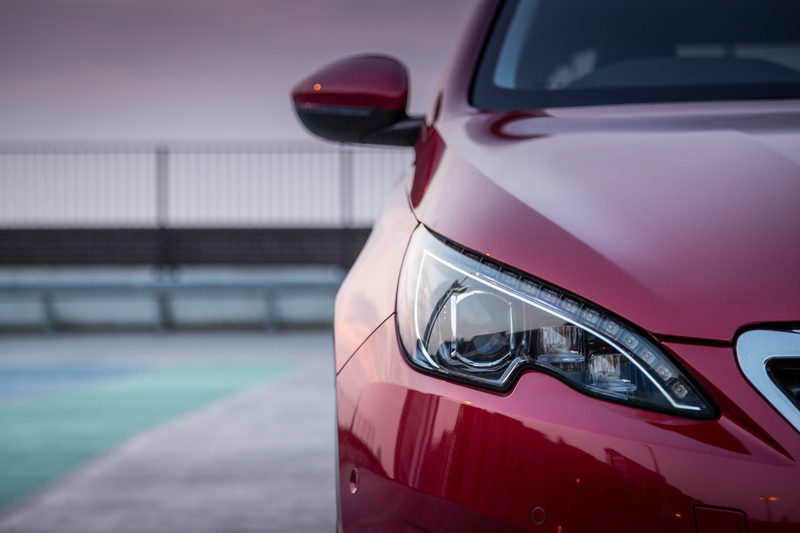 The latest generation looks sharp and alive, with a touch of aggression created by those squinting headlights. I found it refreshing to have a family and business friendly car that still manages to maintain some interesting design features. Following my time with the car I realised that I had grown quite fond of the car for many reasons but I think one of the biggest points for me was simply how spacious the inside of the car felt, considering it is a hatchback there seemed to be plenty of room inside. I think this is created by having the panoramic roof allowing lots of light in and complete visibility up. Take a look at the highlights video below to see a bit more of the car in action.